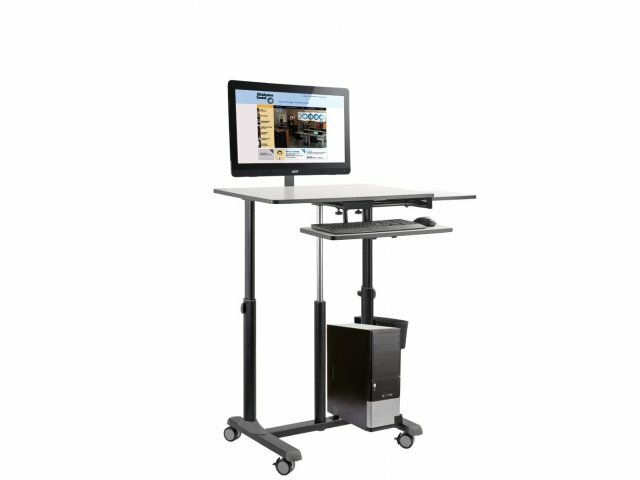 The EduTouch Pro Sit & Stand Multimedia Presentation Cart is an educator's dream. It allows you to teach from anywhere in the room, without leaving anything behind. 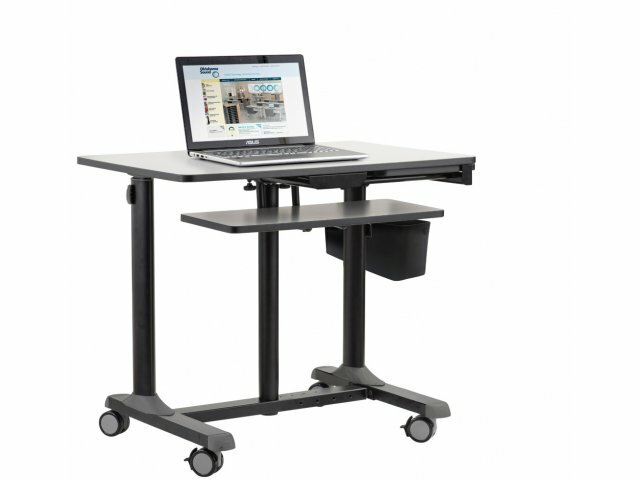 A monitor arm, adjustable CPU holder, and keyboard tray accommodate your desktop computer, while an ample work surface and additional pull-out shelf supply plenty of room for all of your materials and accessories. No matter where you are, this presentation cart will have you covered. Double-wheel hooded casters make it easy to move around the room while you teach. The pneumatic height-adjustment system facilitates healthy ergonomic positioning. An accessible paper tray on the side, provides the perfect place for handouts or assignments that need to be returned. Computer Friendly: Keyboard tray, adjustable CPU mount, and monitor arm support your PC in any location. Ample Space: Includes a large work surface and accessible pull-out shelf, for accessories, supplies, and additional devices. 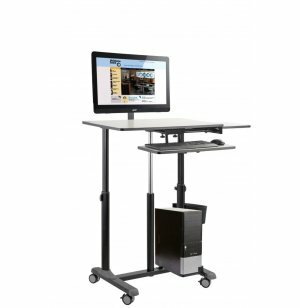 Perfect Fit: Pneumatic height-adjustment system enables each teacher to work in a healthy position. Convenient Storage: ABS plastic basket on the side provides on-hand paper storage. Sturdy Support: Stands on a powder-coated steel frame. 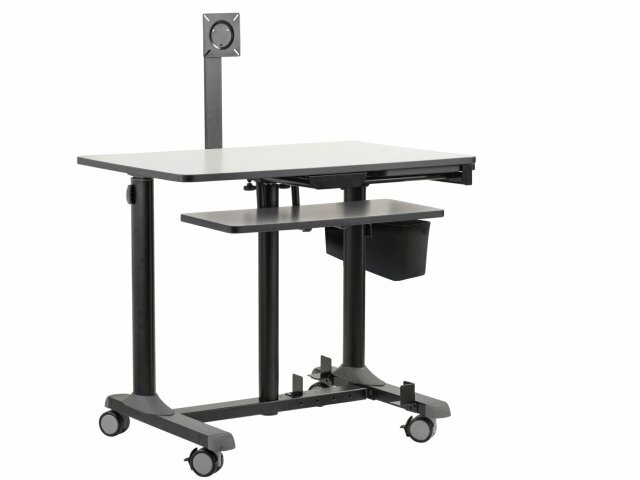 Flexible Teaching: Four double-wheel hooded casters (2 locking) give educators freedom of movement.